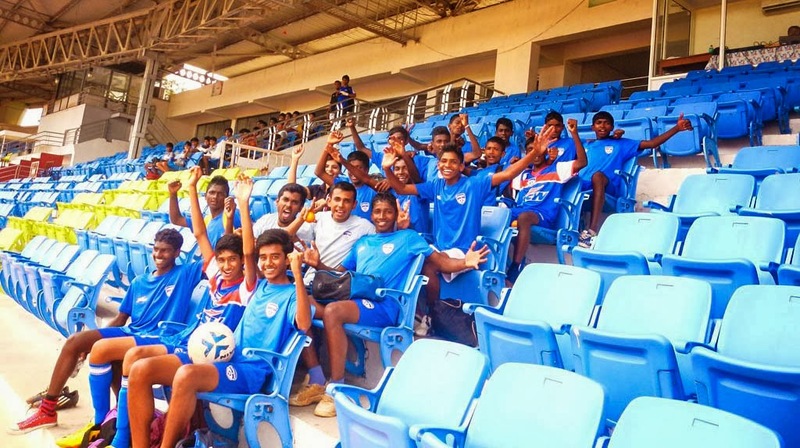 The Bengaluru FC under-15s made it two wins in as many games beating Mumbai FC U-15 1-0 at the Manchester United Premier Cup being played at the Balewadi Stadium, in Pune, on Monday. The BFC colts had scored a comprehensive 4-1 over Salgaocar on Sunday and now have only one league encounter left. Bengaluru took the lead in the 12th minute when, off a counter, Pradeep R slotted home from a well strung move. Mumbai FC searched hard for the equaliser but the BFC defence put on a solid show with clinical tackles and timely clearances. “It was a tough game to be honest, extremely physical. Prashanth played a great pass through and all I had to do was put the ball in calmly. This goal and win is for the club and all we need to do is put our heads down and complete the task we have come here to accomplish,” said scorer Pradeep. The junior Blues take on Gujarat on Wednesday morning in a 9 am kick off and victory would send them to the semifinal to be played on January 22.